We purchased a condo through Alex. He found us a great deal that we would not have known about if it were not for him. He is very professional, excellent at communication and knows the best places to invest or purchase. He goes the extra several miles to help with everything from notaries, property managers, developers and anything else to make sure everything goes smoothly for you. A year after our purchase I still have regular communications with Alex as he follows up to make sure things are going well. 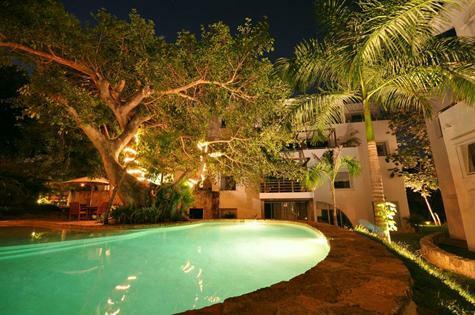 I will use Alex again and would recommend him to anyone looking to make a purchase in the Playa Del Carmen area. If you are looking for property in Playa, Alex is your guy. Eric and I want to thank you, because we have had the good luck to find you as our realtor. Once you knew what we were looking for, you had the time and patience to make a special tour for several properties according our expectations. Really we appreciate your integrity and expertise because you know your business. During our search for a home, Alex was thorough. He showed us those properties that met our criteria, Alex was patient enough to spend the time it took for us to feel comfortable making a buying decision. We really appreciated the fact that he wasn't pushy. Thank you for being always available to answer our emails with a lot of questions. All the time you kept us informed what was going on and this made us felt very comfortable and relaxed. At the end with all your help we could bought our dream house that also now we put in your hands to helping us as our manager. Absolutely we highly recommend Alex as realtor. This is not our first buying experience in Mexico as we owned a house outside of Merida before we decided to relocate to Playa Del Carmen. Having learned a little the first time we decided to select 2 real estate agents, give them our criteria and let them show us what they found. Day one was spent with the first agent that was a great guy and had several properties that we liked, but nothing we really felt was “the one”. We spent the second day with Alex viewing what he had found, several of which were interesting but not exactly the one. He asked that we meet to review again what our main objectives were so he could fine tune additional property searches. We saw 2 additional properties that we liked, one of which we could see buying, but he took us to see one additional property that was a good bit out of our budget, but we fell in love with it. Since we already knew the other property would work Alex could have easily taken the path of least resistance and put us in that house, but he saw how much we loved the last house and said he was determined to make it work. He worked on the deal for 3 days and when the dust settled we were very close to our budget and could make it work, which was amazing considering the gap. We could not be more happy with the outcome and especially the way Alex went to work for us to put it together. There are a lot of really good realtors in Playa, but if you are wanting someone that will go the extra mile and work hard for your best interest, then I would highly recommend Alex. We plan to buy some additional properties in the near future for rental income and we already know who we are working with; thanks so much Alex. Having had experience with several realtors in the United States as well as in Mexico, Alex was by far one of the most accommodating of all. Whenever we needed him, he would immediately make time to help us out. Two years ago, we were searching for a condo in Playa del Carmen, and Alex took us to look at several condos in the short period of vacation time we had. He was honest and helpful and always fitting his schedule around ours which was very appreciated. Eventually, Alex helped us find the condo of our dreams, and we could not be happier. He was also very helpful in explaining all the technicalities of an international purchase to make the experience simple and low-stress. Now, he helps us rent out the condo with great organization and efficiency, sending us all the details we require. We feel very grateful to have Alex. He is truly a wonderful person and an outstanding realtor. When I met Alex I already owned a condo in Playa. He was able to sell my condo in a matter of weeks and find me another one that was larger and in an area I wanted to live all within a month or two. He was able to negotiate a great price and handled all the money transfers from the states to Italy. It was a painless process as Alex is the consummate professional. He knows the market and how to get things done. Now he rents our apartment for us a few times a year and we have always been satisfied. We recommend him without reservation for all your real estate needs. 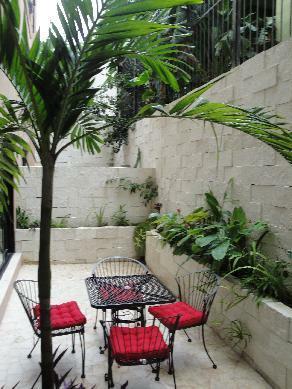 We met Alex in February 2012 when we decided to explore the condominium market in Playa del Carmen. Alex was prompt in responding to our inquiry and took the time to understand our personal needs. He very effectively guided us through the process of a foreign purchase and introduced us to a host of very competent and personable professionals who were invaluable in assisting us to work through all the legal requirements; they in fact made the process quite simple. I am very happy to have met and made a friend as well as a business associate. to do so. You can also give out my e mail address. 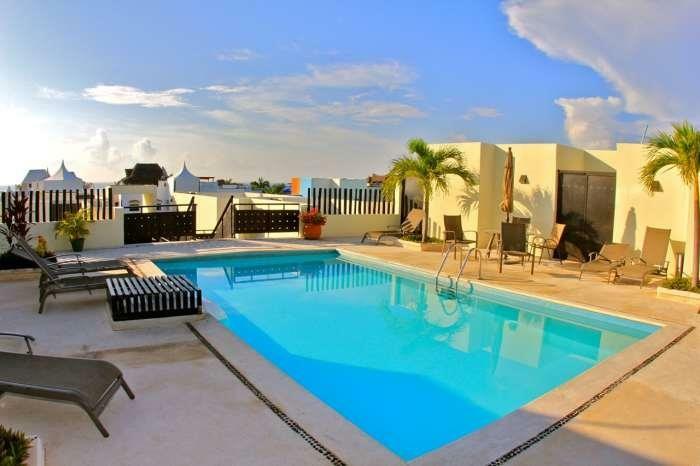 We are excited Playa del Carmen home owners due to the amazing luck in discovering Alex on the internet as our realtor. You will enjoy Alex's sense of humor and his incredible integrity, while searching with him for the perfect "home away from home". 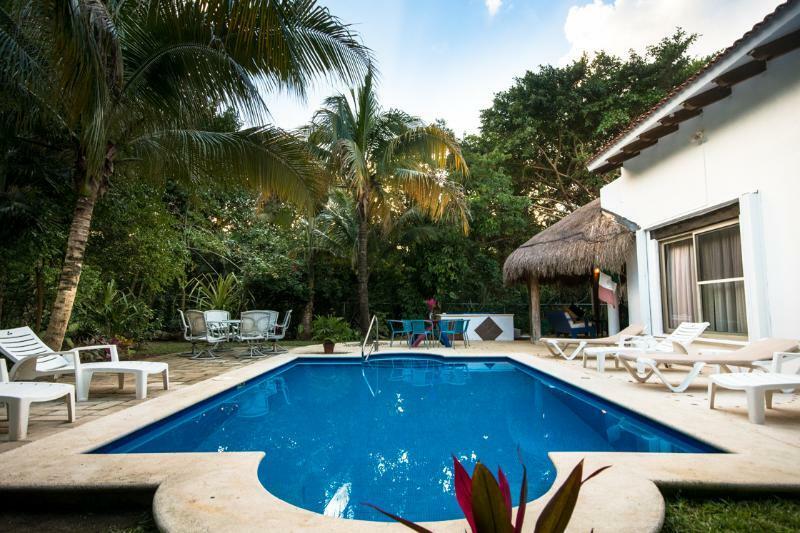 The idea of buying a place in Mexico has its fears as the language is foreign to most of us and the whole legal aspect in purchasing real estate is somewhat different. However, Alex is a guy you can trust, he communicates everything clearly giving you the best advice and you feel comfortable knowing that if there are any obstacles, he will look after it. We gave him some interesting obstacles as we brought over accessories to decorate our new home in Playa through the Mexican Cargo. Don't do this as it is a huge hassle, however we were back home already when Alex phoned to say he was able to pick the cargo up from the airport and it was sitting in our living room in Playa. I have a huge feeling that there are not too many realtors in Canada let alone Mexico that would do this for you. We have got to know Alex well during the short time we have known him and consider him a friend. Alex looks after paying the bills among all the other things required when you own a home. The other day he phoned to say he had moved in the deck furniture because they were predicting high winds and rain. I hope they never leave Playa as we "have it made" with them as our friends and realtors in Playa. We often comment, "I can't believe we found Alex in Playa." We along with our two teenagers love Playa and the fun family memories we create each time we visit, which in never enough! 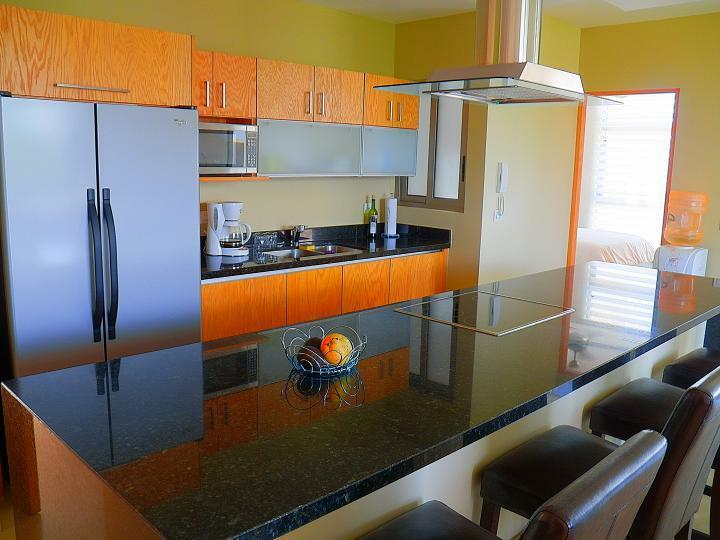 We found ourselves with Homes for Sale a great Property in the Caribbean!!! My name is Kelly. My husband and I had called Playa Del Carmen our vacation destination for many years and had always dreamed of owning our own piece of Playa to call our own. As circumstances provided I began, last year, my search for a competent realtor that I could lay my trust upon and make our dreams become a realty. It was an adventure we were very leery to embark upon but non the less we threw our fears to the wind and somehow crossed paths with Alex. He has been a pillar of emotional and physical support. A wealth of information and knowledge. He had every patience for me that many other realtors may not have had. I had many a question, allot to learn and some concerns along the way with the process of a Canadian becoming the owner or a piece of Mexico. I never once felt like I could not trust in Alex. He became someone within whom we truly depended upon, and occasionally still do. I just wanted to send you a quick email, on his behalf, to say that I have completed a business transaction with him and the people he recommended to complete our purchase and not once along the way did we have a problem. If you have any questions or concerns I'd be happy to help. Please feel free to call me. Good luck in your adventures in Mexico, I wish you the best..... It's amazing feeling to accomplish the goal of owning a piece of heaven and I can honestly say I don't think it would have been such an enjoyable ride had it not been for Alex. We can happily say, Alex , rose to the task, and though his knowledge of the market and sustained diligence was able to find just what we wanted, where we wanted. 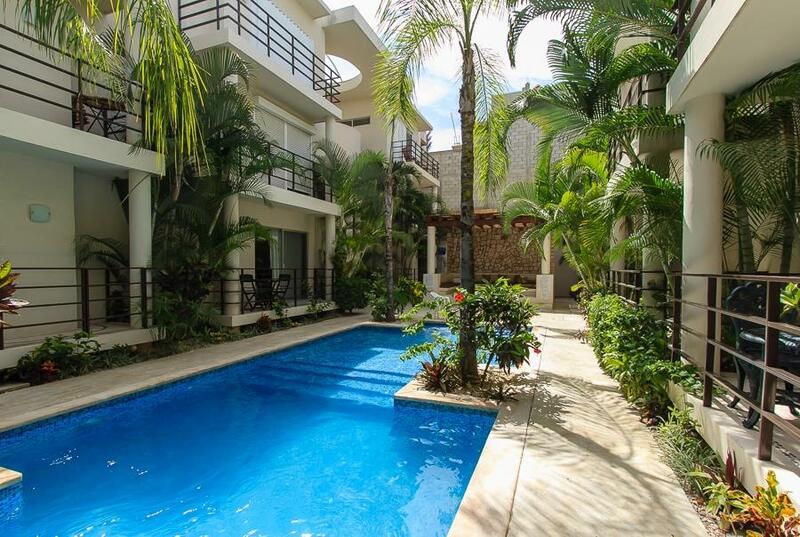 Leona and I just want to let you know how much we appreciate you helping us find a property in Playa del Carmen and making the process of buying it so easy. 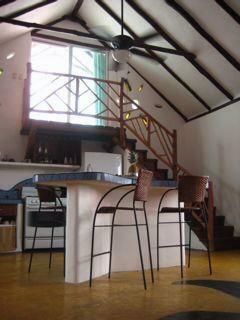 We had been coming to Playa on and off for several years and even tried to buy a place two other times. With those agents, we never felt like we were truly being attended to as clients nor did we get the feeling that what we wanted came first. In fact, both of those agents only showed us only a few properties each and only ones that they themselves had listed. That you were willing to show us every one of the twenty or so properties we wanted to see (that I had just pulled off various sites on the internet) made me want to continue working with you - I got the feeling that you were putting US first. I also liked your thorough knowledge of the housing scene in Playa, your being up-front about what was a good deal and what was a bad buy, and you sense of humour. Because of this, I also felt i could trust you. In fact, our trust in you is why we continue to work with you as our property manager as well. Indeed, everything has worked out so well, that we still kind of can't believe we own a place in Playa. You made it easy for us: you explained the legalities very well; you introduced us to a great real estate lawyer; and you helped usher the whole strange process along smoothly - a process that at first seemed so complicated and daunting. indeed, I felt you often went the extra mile to make sure that it everything was going smoothly. We will be back down in December to lounge by the pool, drink margaritas on the beach and stroll 5th Avenue - all from our own home base in Playa. It will be great to see you and Joyce again. 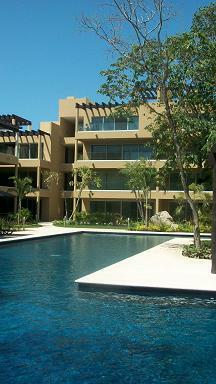 Condos for Sale Playa del Carmen, we bought one !!!! 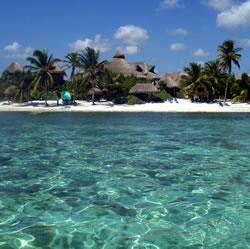 Like many people, we vacationed in Playa del Carmen, and loved the sun, and the beach, and Babe’s, and the Quinta. We came back year after year, and day-dreamed about one day buying a house here. But, like many people, we thought the idea of buying a house in a foreign country where we didn’t know the real estate market, the legal system, or even the language, was just too damned scary. He made it easy, and not too scary. He negotiated a good price for us. He gathered all the documents we needed. He walked and talked us through the fideicomiso and the closing process. He held our hands. And now that we are home-owners, and mostly absentee landlords, Alex is managing the property for us. He is “our guy in Mexico.” He pays our taxes and our utility bills and collects the rent. He walks by the property. He pays attention to the details as if they were his own. He works, he worries, and we relax. 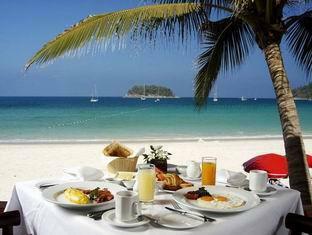 If you have been in Playa del Carmen, Cancun, Akumal, Puerto Vallarta, Los Cabos or Baja California, please send me the best pictures of your fun vacation in paradise. Playa del Carmen is a unique destination, where millions of people came, had a great time, left impressed and very happy. I mean myself and all the others who always come back. For my family and me Playa del Carmen is home and still it feels like we are on vacation. Every Morning we can go the Caribbean Ocean and enjoy this magic moments when the sun comes out and another day starts in Playa.